Not all of the companies that developed these apps are exhibiting at the show, but they're all here. Some are throwing lavish coming-out parties, while others are just riding wave of buzz. 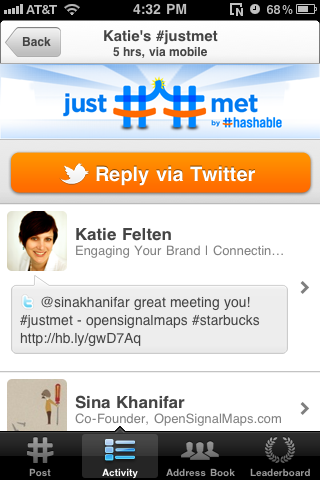 But all of them are doing something creative, meaningful, and cool in the social/mobile/location-based space. Here are seven apps that intrigued me. Hashable: A mobile networking app (iPhone and Android) that lets you exchange virtual business cards with people, track your new introductions, and track who your new acquaintances are meeting. Runs on Android and iPhone. 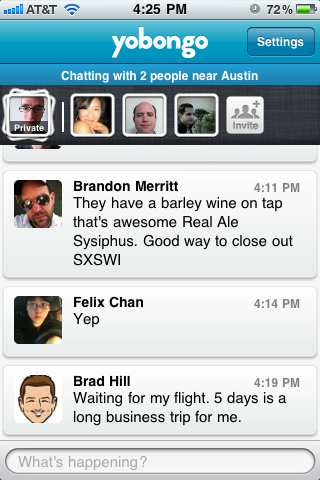 GroupMe: This group messaging app allows you to form a virtual, private chat room from people in your smartphone's address book. The company has apps for Android, BlackBerry, and iPhone. Foodspotting: This restaurant suggestion website and iPhone app lets you take pictures of foods at restaurants and post them for the Foodspotting community. The pictures are plotted on a map. IntoNow: The app lets people share their favorite shows with their friends by taking a picture of the TV screen with their smartphone. Quora: At Quora you can post a question and members of the community answer your questions. If you provide a really good answer to somebody else's question, other users will vote your answer up-in short, you will be loved. 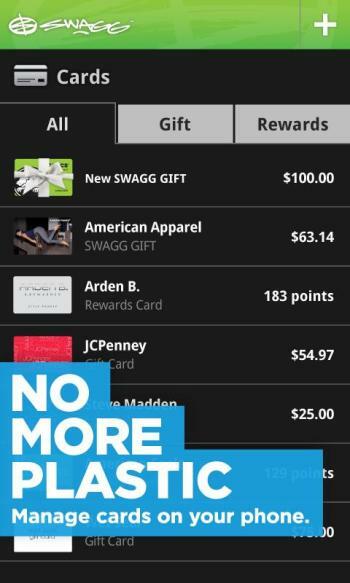 SWAGG: This (iPhone and Android) app keeps all of you coupons and gift cards well organized in your smartphone so they're there when you need them. You also don't have to fool with paper clutter. SWAGG has deals with 3,000 retailers so that users can get special discounts. Yobongo: This location-based chatting app lets you know when other Yobongo users are nearby and lets you initiate chats with them. Right now the app is only available for iPhone (boo), but it's one with some immediate usability in the real world.